YOU COULDN'T KILL YOUR PARENTS - COULD YOU? TANDY ANGEL is a whip-smart fifteen-year-old detective . . .
and the last person to see her parents alive. Is she also a murderer? HARRISON ANGEL is her artistic twin brother and a concert pianist . . .
who was always a disappointment to their parents. Is he also a murderer? HUGO ANGEL is their super-strong ten-year-old brother . . .
and their parents pushed him as hard as the rest of them. who has more than one very good reason to hate his parents. 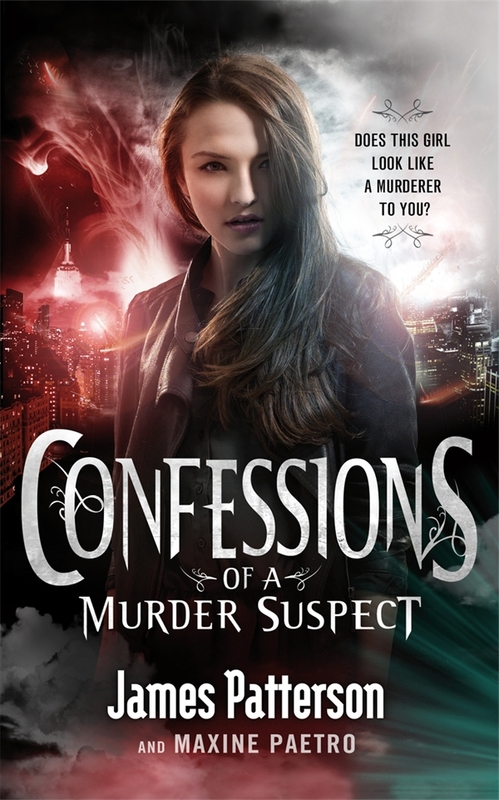 From the creator of the bestselling Maximum Ride and Witch & Wizard series comes a teen detective on a mission to bring her parents' killer to justice, even if it means uncovering her family's darkest secrets - and confessing some of her own. James Patterson is obviously a well known adult writer, who has had many of his novels made into films. In the last few years he has also become an extremely popular writer for teenagers, with series like Daniel X , Maximum Ride and Witch and Wizard. I think his popularity has a lot to do with the visual way the books read, and this book is no exception, reading it feels like you are watching a film. The Angel family are unique. They are very wealthy, and the children, Tandy, Harry Hugo and Matthew all excel in some way. Their upbringing has been somewhat unorthodox, with the parents dishing out extreme rewards and punishments. The rewards can be as grand as a trip to South Africa to mine for diamonds, and the punishments (the Big Chop) could be anything from the mundane, writing lines, to the extreme, being locked in the cupboard under the stairs. When the parents, Maud and ….are found dead in their beds, with no sign of forced entry into their apartment, the list of suspects narrows, to those in the apartment at the time, the 4 Angel children. As the story unfolds we learn about the upbringing these children had, and in reality each member of the family had a motive to commit the crime. The story is told by Tandy (Tandoori), and she is the primes suspect. She makes it her mission to find out the truth. The one thing that bugged me in this story is how the police treated the family. The detectives on the case were set on the killer being a family member, and they were rude and obnoxious to the children, I just didn’t find that very believable. There is no mention that this is the first book in a series, but I have a feeling it may be. While we do get an answer about the murder, there are other questions and issues raised that are not solved in this book.